I don’t really want to write anything about the battle at B-R5BR. There are more than enough bloggers and journalists writing about that event. I know a few people who fought in it. A couple were even on the winning side. And they had some interesting comments about it. But it’s nothing that others haven’t said already. So the biggest battle in EVE Online is history as far as I’m concerned. But it’s affects on the game are far from over. I’ve posted before about the increase in brand recognition CCP is getting from this event. Today I was actually stopped at work and asked by one of my co-workers, “Hey, were you involved in that big battle in that game you play?” He’d heard a story on Oregon Public Broadcasting about it. Yeah, it’s filtered that far down into the mainstream media. And CCP is still riding a crest of new subscriptions it seems. Last Sunday when I played, same time as always, there were 54,000+ users online. That’s up over 5000 users from the numbers I saw before B-R. The Google Trend line is also still climbing. The only decrease from what I’ve wrote about before is new account creation reported by EVE Offline. That’s noticeable down, but the daily average is still higher than it was before B-R. The battle itself, and the influx of new accounts, have lead CCP to do a few things right away to “enhance” the game. They have put a 50 drone cap on drone assignments to other players. Before there was effectively no cap. That was one of the reasons lag was so bad in the systems where these large fights occurred. Here’s how it worked. Hundreds of pilots would show up laden with sentry drones. They’d launch them and then assign their drones to one guy, usually the Fleet Commander, who would then fight the battle. One guy throwing thousands of drones at individual targets evidently causes the servers to go into computational convulsions. I’ll spare you the details. But that isn’t the only thing CCP has done. This (hover over link for description if you don’t want to click) was pinned to the log in screen for like two weeks, and stayed at the top while at least two other items were placed below it. But not before this news item followed it. To me this is an indication CCP is serious about trying to retain these new accounts. I certainly don’t blame them. In fact, I encourage them to take it as far as is necessary to keep the new blood in EVE Online. As much as I’d like to think otherwise, I am not the future of this game. You could call me a bitter vet at this point, but I probably won’t be spending time this year coming up with the next great caper. And no one who has played as long as I have is likely to be the future of EVE Online, not even The Mittani. He might even retire considering all the interviews he’s done. The urge for him to go out while on top must be really, really strong. That leaves the future of EVE Online up to these new players. If EVE Online is to make it through the next decade, CCP needs to not only attract them, but more importantly keep them. And in my opinion, B-R5BR may be great for attracting new blood, but’s it’s probably detrimental to keeping them long term. Here’s how I see it going down. What do you think happens when a new player, who signed up for EVE Online because they too want a $3000 Internet spaceship, finds out it will not only take months and months, but they have to “know the right people” and “earn the privilege?” That they can’t just go to Jita and buy one? That’s right, they never convert their free account to a paid account. That issue isn’t even a learning curve issue. It’s more like a dafuq issue. I believe CCP understands this. So what’s a company who desperately wants new players to do? Well, you make certain those new players are encouraged to stick around by offering them fun things to do without getting owned by a more experienced player. This environment needs to be high-sec, because that’s where most of them will play. At least that’s what CCP should be doing. Unfortunately they keep trying to lure these new players into other regions of space where there is more excitement. But I think my favorite bartender, Shatteredhip Fejardo, who I talked into playing EVE Online last summer, summed up the failure of that strategy pretty well last week. Last week I asked him what he’d been doing in the game. Here’s a good summation of the conversation. That’s the dafuq issue in action. And that “advantage” sentiment is very real. He’s not the first noob I’ve heard talk about it. It’s how most new players see games as working, including EVE Online. The only good news in this is that he still has an account and is paying for it. Most people wouldn’t bother to spend real money on a game they felt they couldn’t play until they “trained up.” That’s a HUGE problem, as we all should know. And it doesn’t matter the truth is more like having skill points to sit in a ship doesn’t mean you know how to fly it. The perception is that skill points matter, and perception is everything when it comes to retaining new players. EVE Online has a terrible perception problem. The game is going to have to change if EVE Online is to ever thrive again. So in this post B-R5BR world, CCP still struggles to keep this fresh blood playing. They are not going to do that by solving TiDi. All that does is increase the chance of another mainstream media event. But we know how the media is. Today’s headlines are tomorrow’s litter box lining. The next event will have to be even bigger, and I’m not certain that will ever happen. Already two thirds of null-sec is owned by the same coalition. If anything bigger than B-R ever does happen again, it likely will not be for some time. I can almost guarantee it will take longer to happen than for all this new blood to become disenchanted with the hardest MMO in the world. This big event-disenchantment cycle is like being on life support. The ventilator will keep the body alive, but if the brain is dead what’s the point? What I hope CCP will do is consider revamping current high-sec content. I am getting pretty damned bored running the same level IV security missions over and over again. The lower level missions are no better. They haven’t changed in the nearly six years I’ve played. Dafuq? One thing I’d heartily welcome is if CCP figured out a way to make missions that were procedurally generated. It would be grand if no two missions would ever be completely the same. What about a procedural generator that randomly determines what faction you fight, how many gates will need activated, how many ships per gate (waves too?) and what ship mix would be encountered. Wouldn’t that be a great improvement? It certainly would keep me on the edge of my chair more. These missions would be scaled to the skill points of the player and never the same. What about throwing in lottery loot drops? Why do we have to go all the way to null-sec to get good loot? I’m not advocating CCP become the loot fairies. I am advocating CCP give new players a reason to log in, and what would be better than dynamic missions with a substantial chance for a really cool armor repairer? Then there’s the other high-sec noob activity: mining. Anything that would make mining less tedious, and therefore less boring, would be a huge plus. In that regard, I could see a little NASA/KSP coming into the equation. Not all the physics stuff , but what about asteroid capture and return? Forget pecking away forever at a ‘roid with lasers. Throw a “net” around that hunk of pure profit and haul the whole thing in for a hefty chunk of change all at once. Make laser (precision) mining an endeavor necessary for high end minerals, but take the tedium out of mining in Empire space. Who wants all those errant chunks of asteroid fouling the space lanes anyway? I am certain CONCORD would approve of taking the whole ‘roid to a central processing center. The whole endeavor should take less time and get more ISK into noob pockets faster. And while you’re working on making life easier for new players, stop the POCO madness in high-sec. It’s a huge discouragement to the players you need most CCP. At one time I thought player owned POCOs would be a good idea. I was wrong. They are a horrible idea for high-sec because no noob I know wants to do it any more. It’s the experienced player perception issue again. The experienced players just have all the advantages say noobs I know. You should listen to them CCP and change that perception by putting all players at a guaranteed even footing. What you implemented does the opposite of this. It was not a winning solution, except to those experienced players with the wherewithal to take advantage of it – and the younger players payed the price. Manufacturing is a difficult nut to simplify, and doing so may be bad for the overall economy. I have no good suggestions for that. It may be something that new players must aspire too do. If enough other things are available to keep new bros engaged and playing, some will eventually become manufacturers. That will work especially well if CCP keeps giving out BPCs for the new implants and such on missions new bros can accomplish. Eventually some of them will ask themselves, “how do I use this thing to make more ISK?” That will suffice for now as anything else must be very carefully thought out. And it may even be necessary to setup systems that are PvP free so really new bros don’t feel so intimidated by more experienced players. And maybe that’d fix the problem with POCOs in high-sec. There wouldn’t be any in these noob areas. And before any of you more experienced players start to respond to this with your highly predictable objections just STFU. I don’t want to hear it. This isn’t about you and it won’t hurt your game play one damn bit for there to be safe havens for really new players. These areas would be strictly for pilots less than six months old. It’d be a training ground with no PvP risk. Once they are older than six months, they should be jump cloned out of the region and their ships along with them. Of course, only T1 technology would be available on the market in these areas. Also, new bros could leave of their own choice at any time, but once gone they can never return. Will any of this happen? I doubt it. I don’t see anyone really advocating for a new-player friendly environment in high-sec. I think the CSM are a swell group of people with the best intentions, but they are far, far removed from their noob days and EVE Online has changed a lot since then. I guess I lack faith they take seriously the concerns I’ve heard from new players like Shatteredhip Fajardo. Most of them are concentrated on the end game, or game play that supports the end game. They feel new areas of space and expanding the end game will bolster subscriptions and create room for new players. I think they are wrong. That’s like building a house without a foundation. 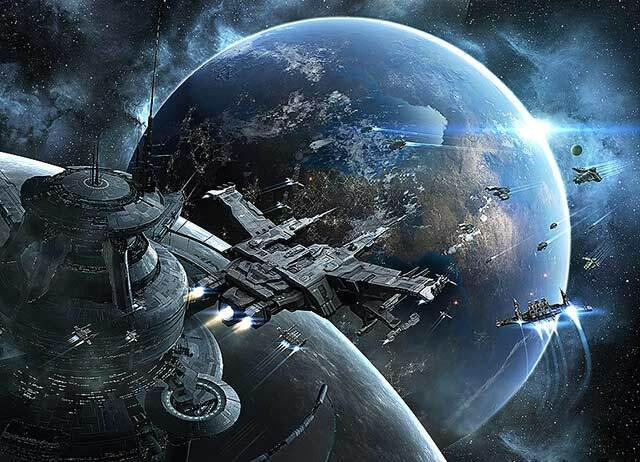 Empire space is the foundation of EVE Online, and unless it is overhauled with new players in mind, anything else CCP does will be for naught. I¡¦m not certain the place you’re getting your information, however good topic. I must spend a while finding out more or working out more. Thank you for wonderful info I used to be looking for this info for my mission. I definitely wanted to compose a small note so as to express gratitude to you for all the splendid advice you are placing at this website. My time intensive internet search has now been rewarded with reliable content to write about with my neighbours. I would tell you that most of us website visitors actually are unquestionably blessed to exist in a fantastic network with very many wonderful professionals with interesting guidelines. I feel very blessed to have used your entire web site and look forward to plenty of more amazing times reading here. Thank you again for a lot of things. What i do not understood is in fact how you are not really a lot more well-liked than you might be right now. You are so intelligent. You understand thus significantly in relation to this topic, made me in my opinion imagine it from so many numerous angles. Its like men and women aren’t fascinated until it is one thing to accomplish with Girl gaga! Your personal stuffs nice. At all times take care of it up! Leave a Reply to architecture Click here to cancel reply.